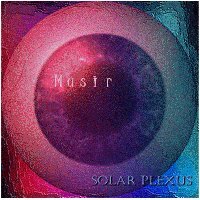 Earth Mantra welcomes Musir von Vidalia to its community of artists, and with a release like Solar Plexus we hope it will be the first of many future releases. Solar Plexus is a single ambient longplay spanning nearly 50 minutes of lush textural ambience with touches of Berlin school electronica, making it approachable by fans of chilled electronica and by deep-diving ambient heads alike. This is a great album to listen to with headphones in a darkened room, which takes you on an aural journey through space and time. In short, it's great ambient music by a great artist. Check it out. Dark ambient in combined drone & analog-style, like a combination of TD's 'Phaedra' and 'Zeit'. I really like this album: dark mood, interesting experimental soundscapes, fun to listen to. In fact, 50 minutes seems too short for the creative output of this album!